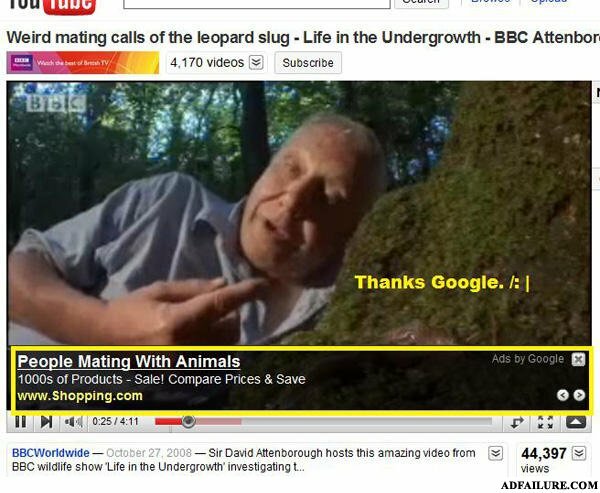 'People Mating with Animals' ...Must be the slug he's after, not the moss. Wow, first bing, now google, what is happening? He's mating with that giant green slug.